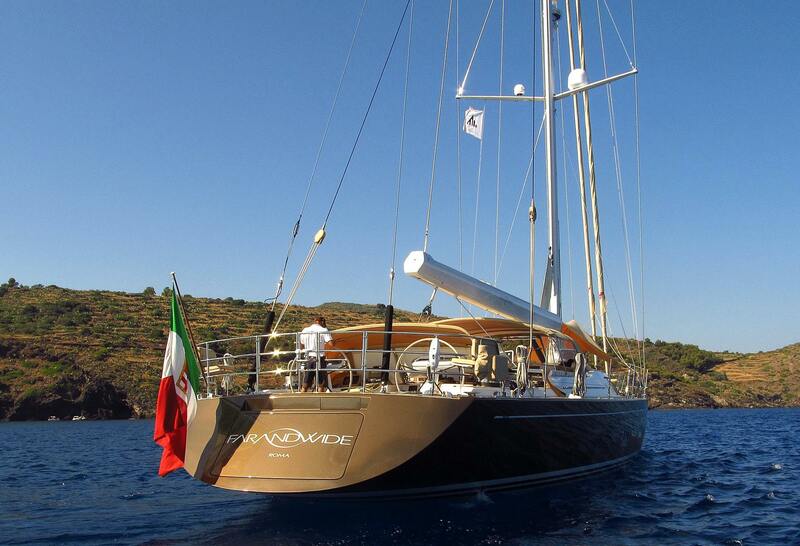 Sailing yacht FARANDWIDE is a Southern Wind 100’ (over 30m) 2007 Bruce Farr designed, deck house sloop charter yacht, built by Southern Wind. 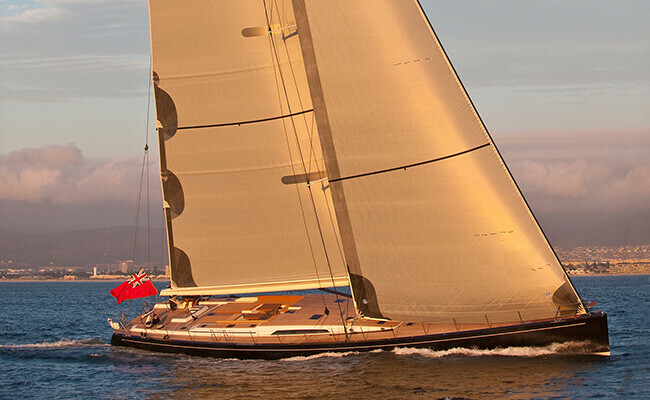 While the naval architecture is by Farr Y. 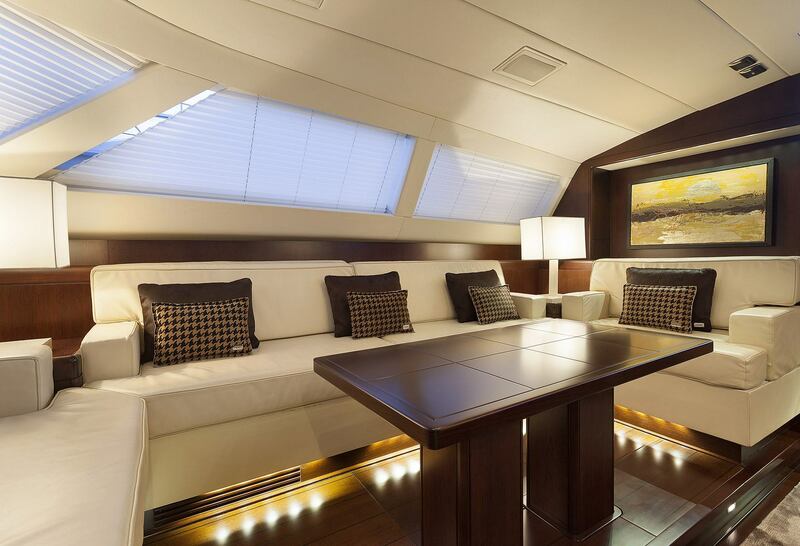 Design Concept, her interior design and exterior styling is by Nauta Design. 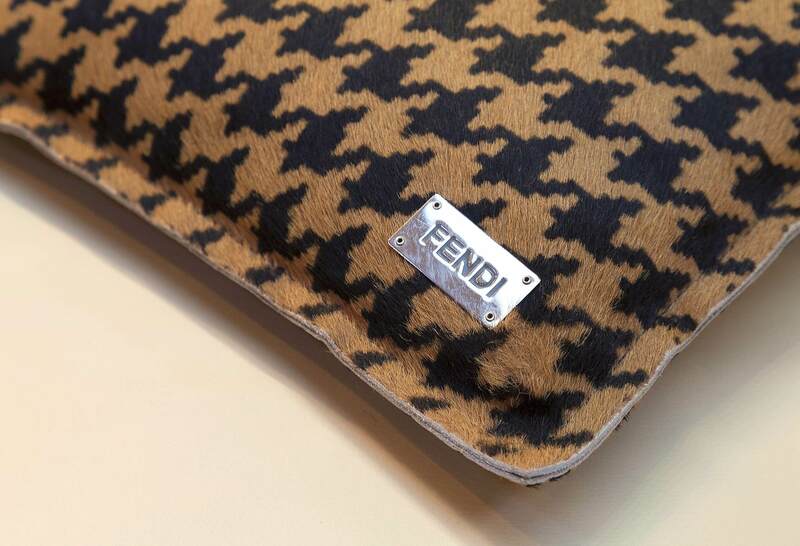 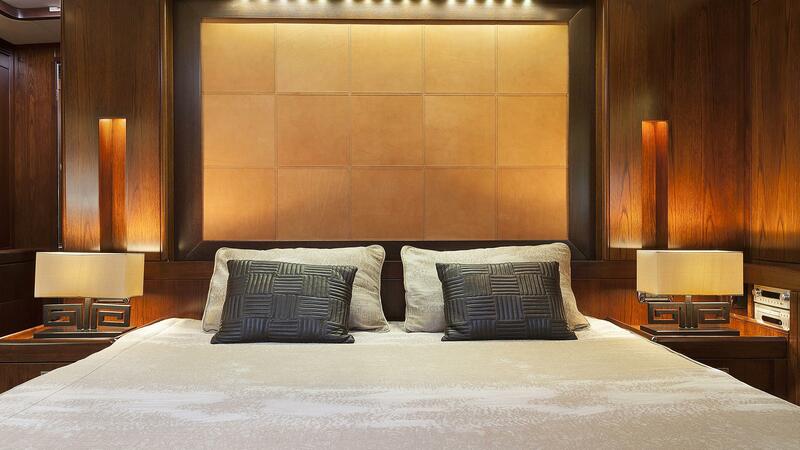 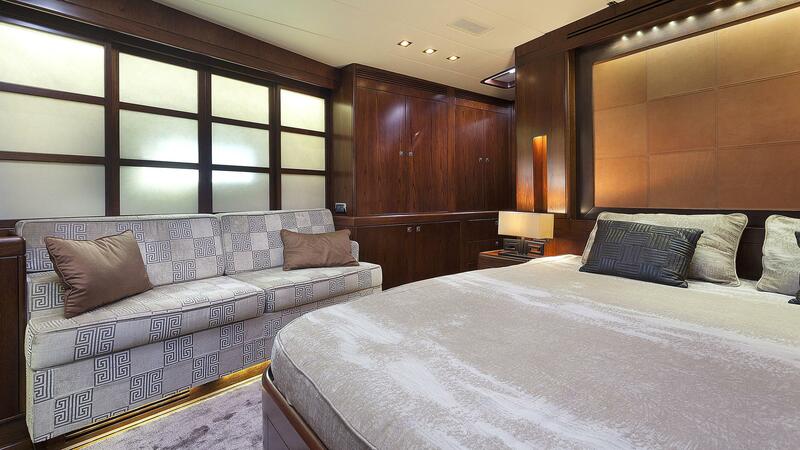 The modern and elegant interior styling boast the fantastic combination of burnished teak and ivory colour and furnishing and fabrics by bespoke Fendi. 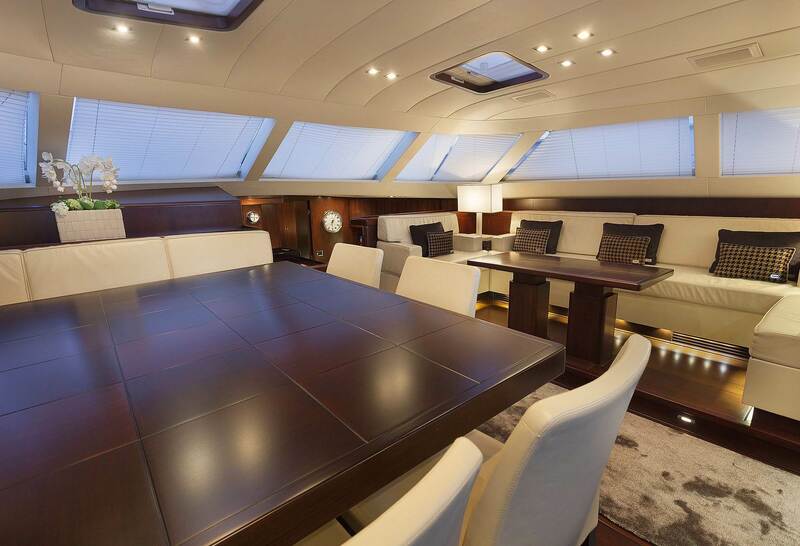 The interior design features an elegant dining area with 360° view and ample lounge area for total comfort and relaxation. 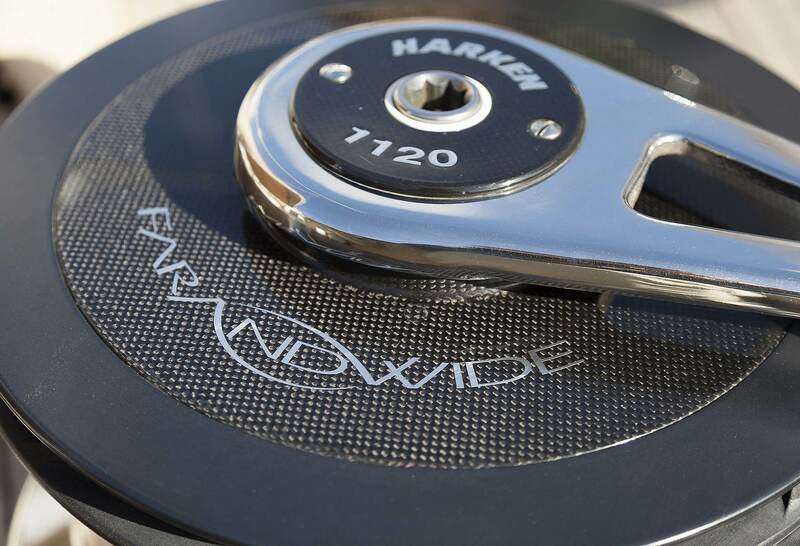 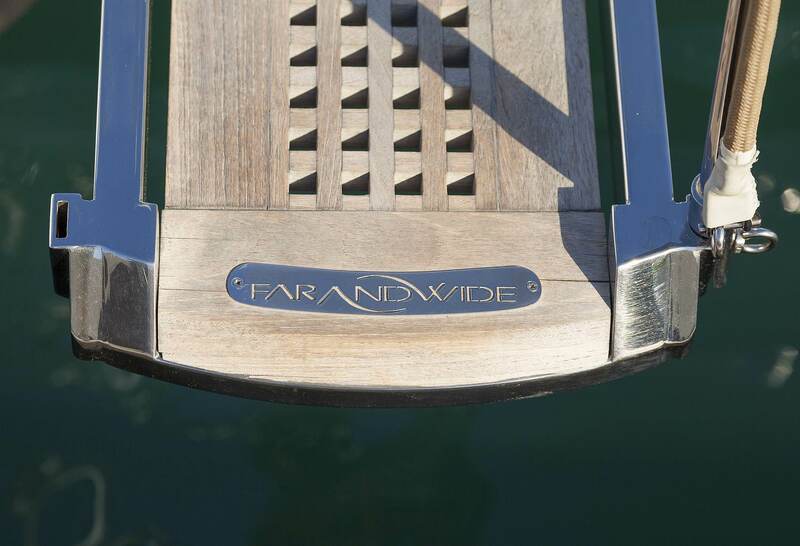 The swim platform is great for easy access to the water and to enjoy fantastic water toys that FARANDWIDE has to offer. 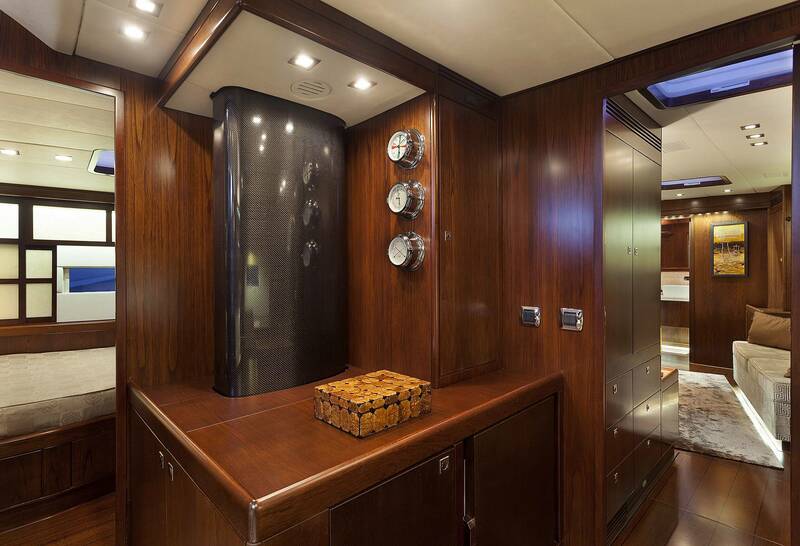 There is also a shower and storage for snorkelling gear. 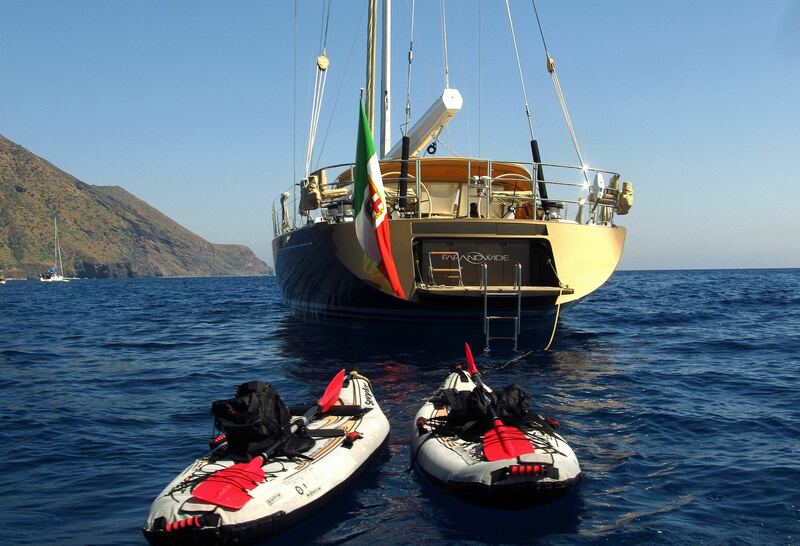 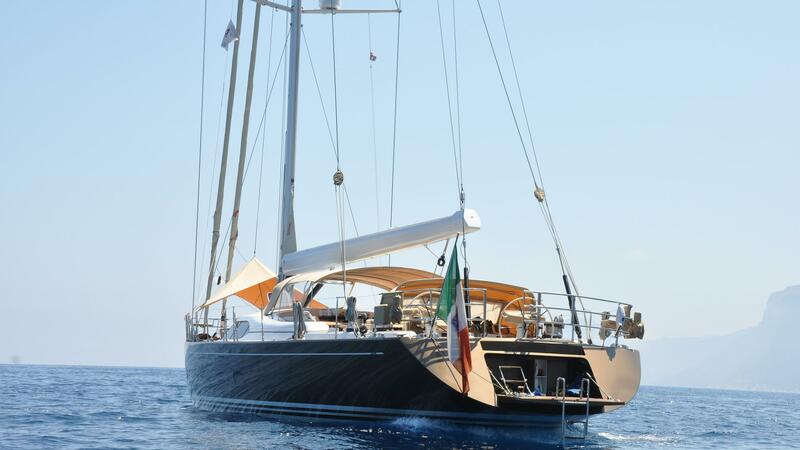 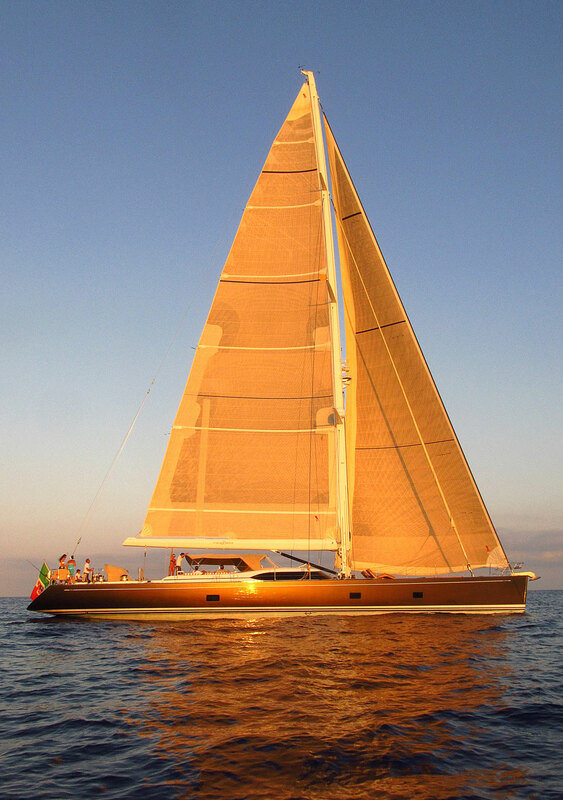 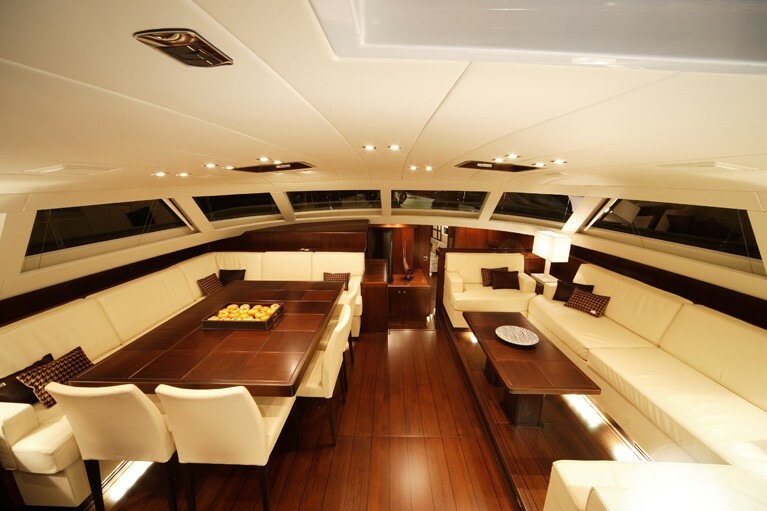 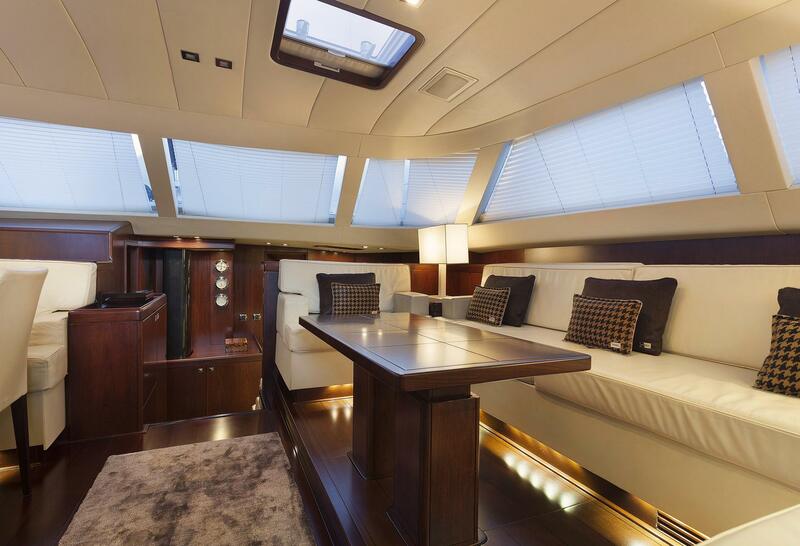 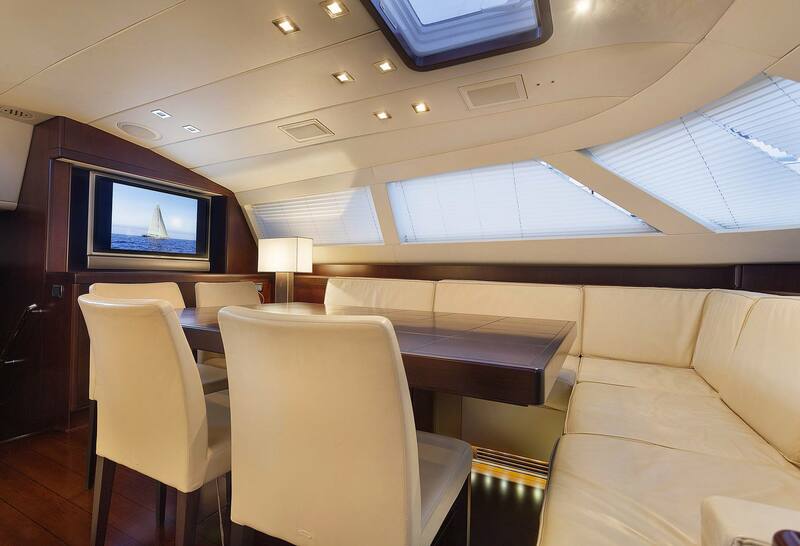 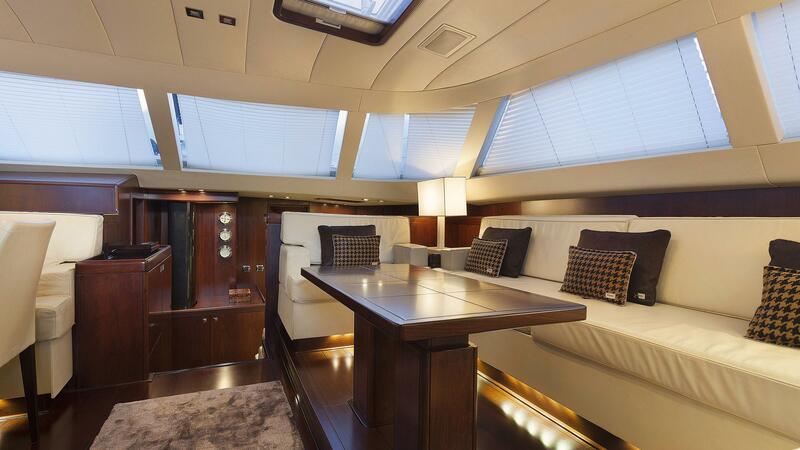 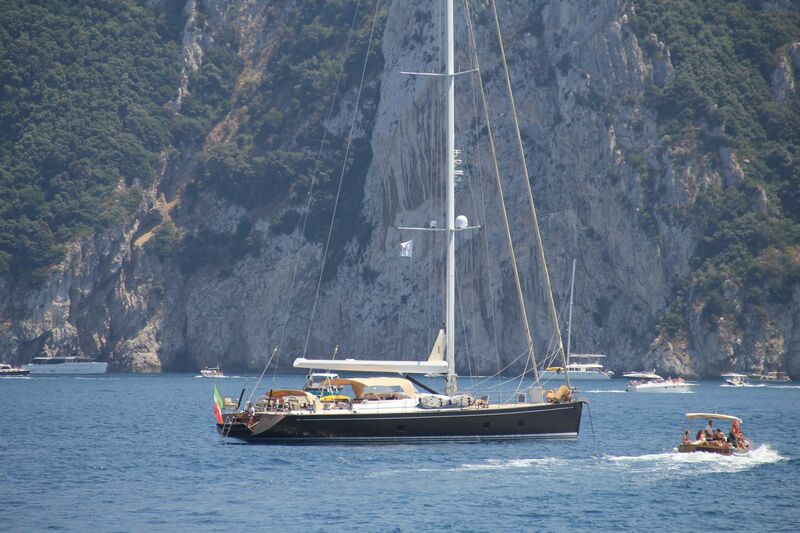 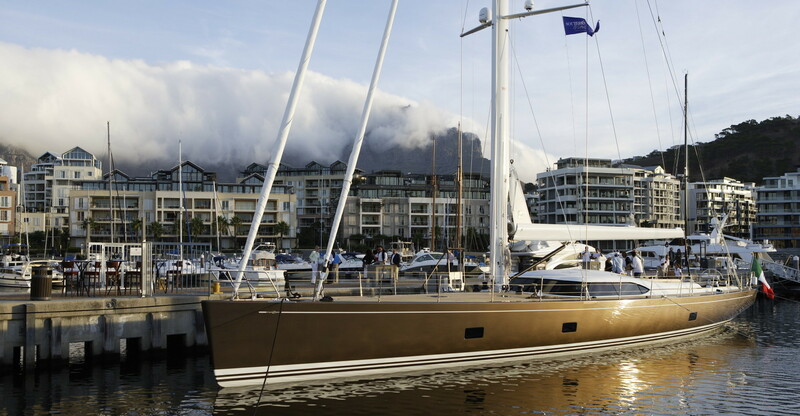 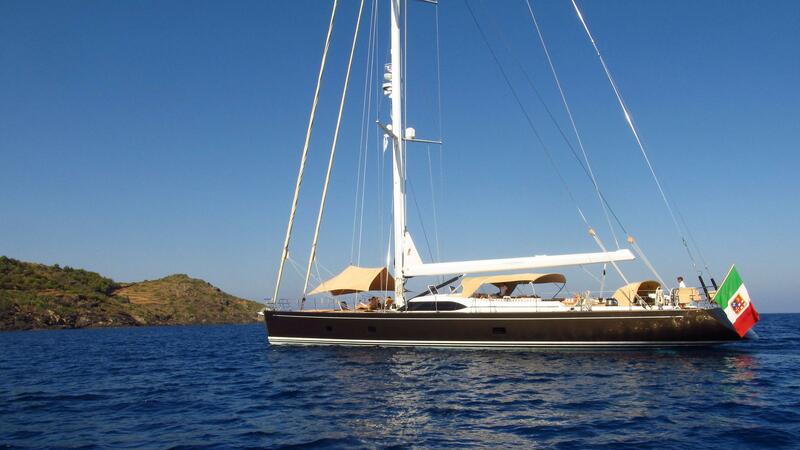 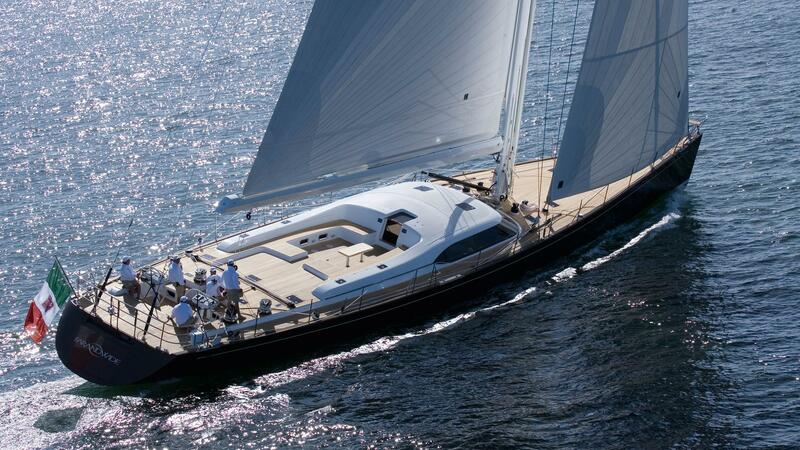 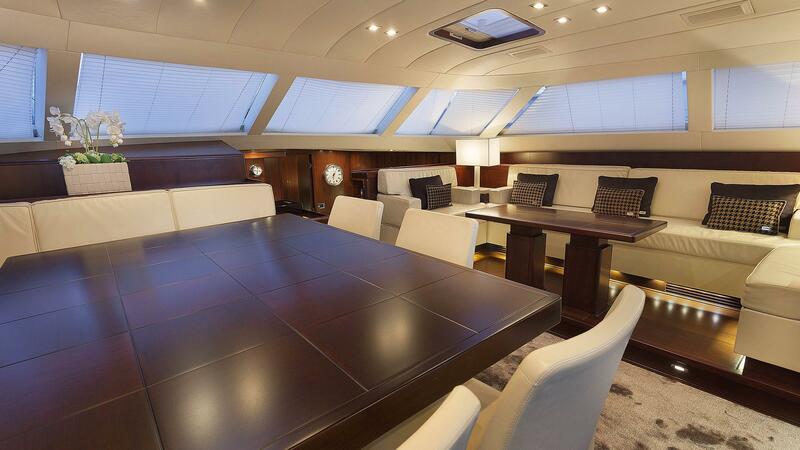 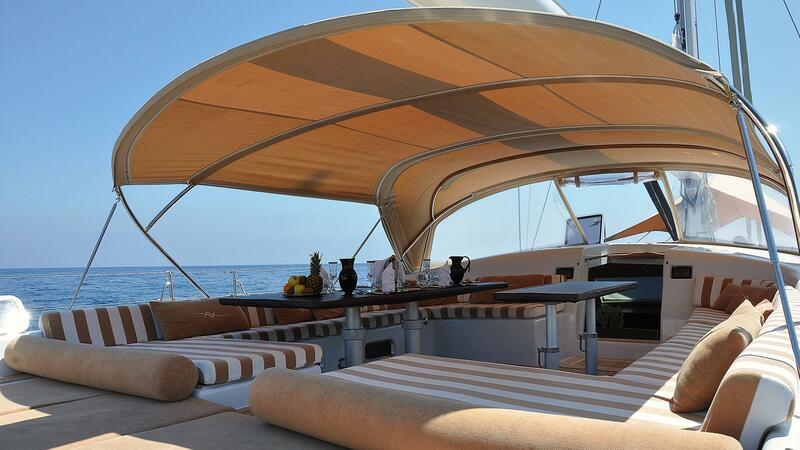 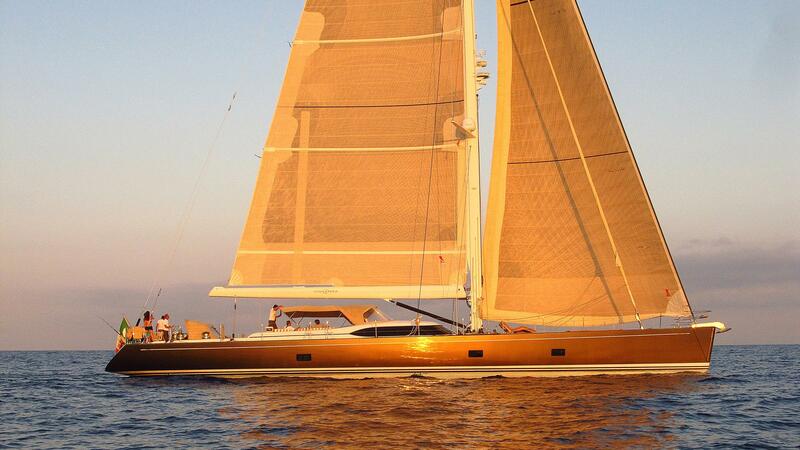 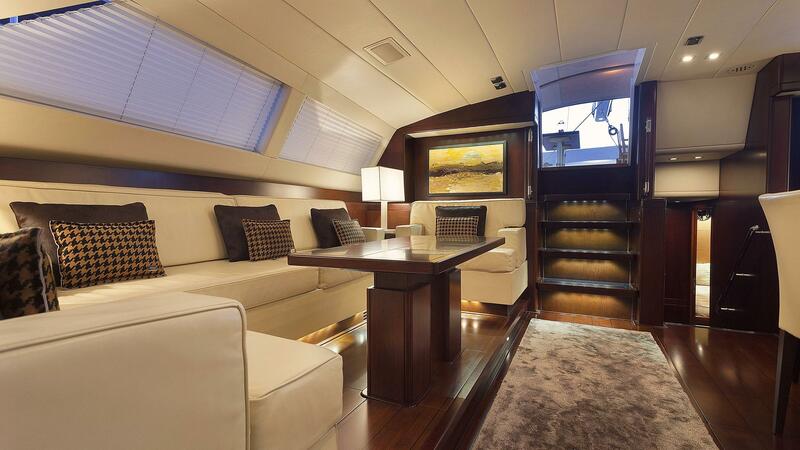 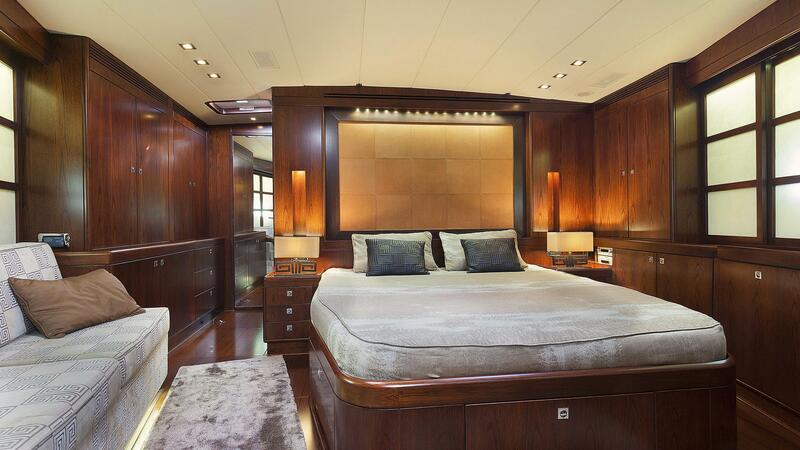 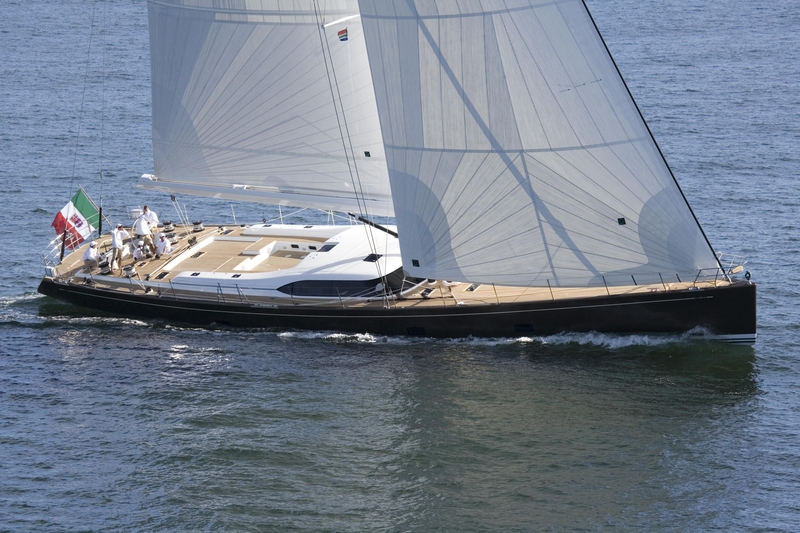 Sailing yacht FAR AND WIDE accommodates her eight guests in “grand comfort” with a large saloon and dining area. 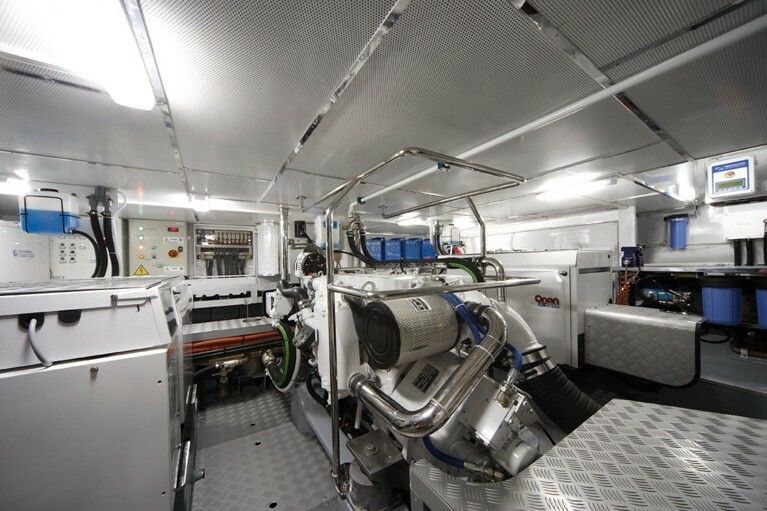 She is fully equipped with all the requisite ‘toys’ including modern navigation instruments, audio video and water-skis. 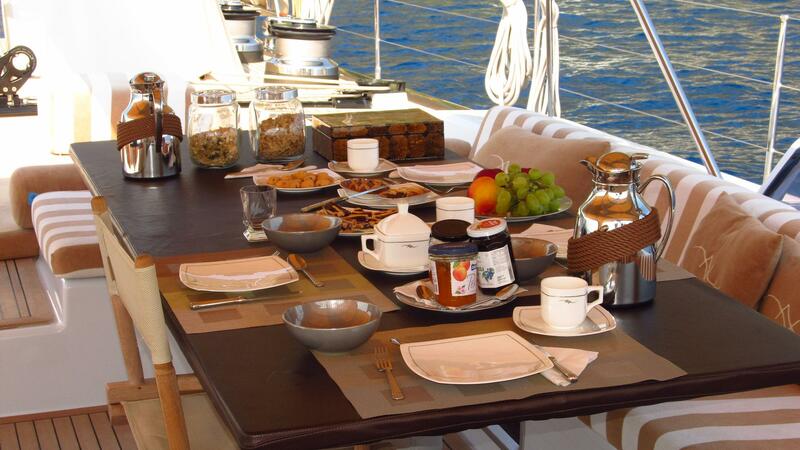 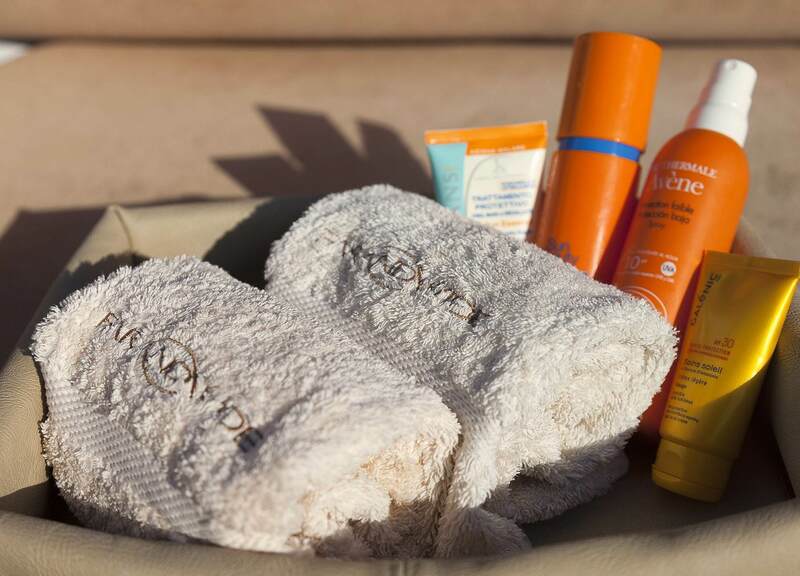 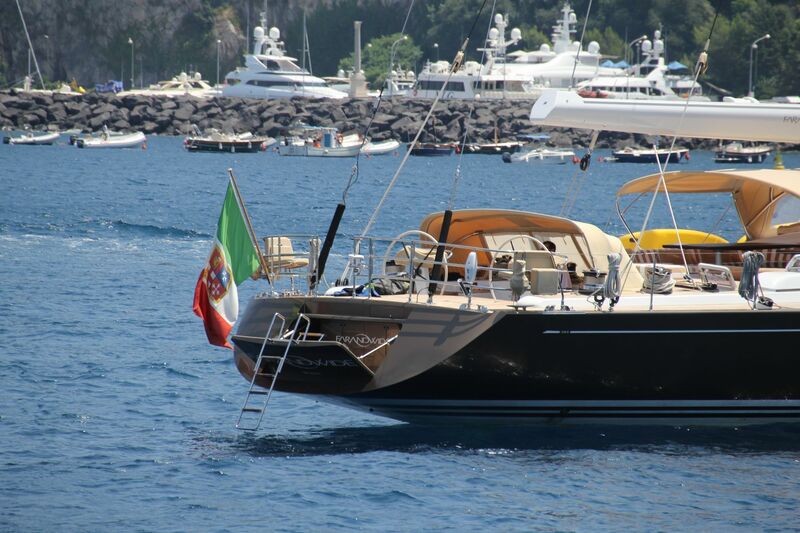 Accommodation is provided for up to 8 charter guests. 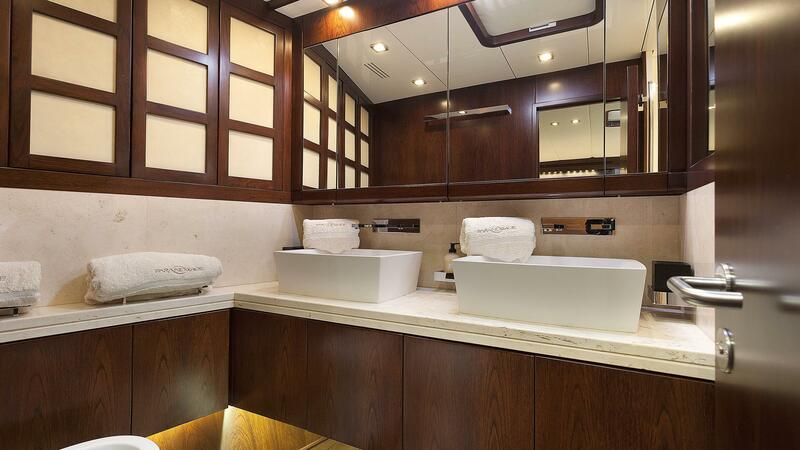 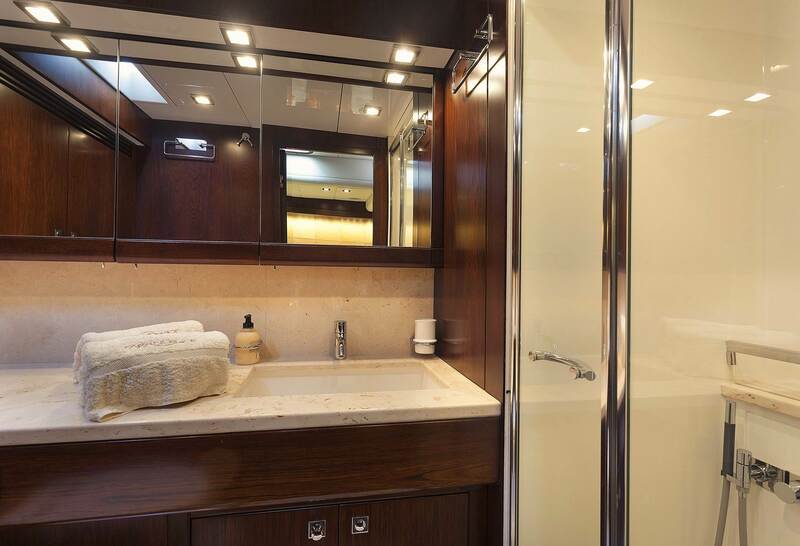 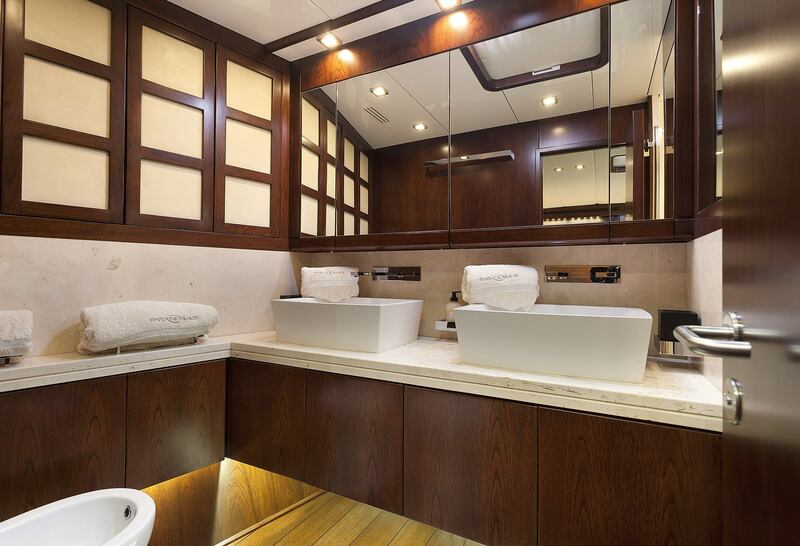 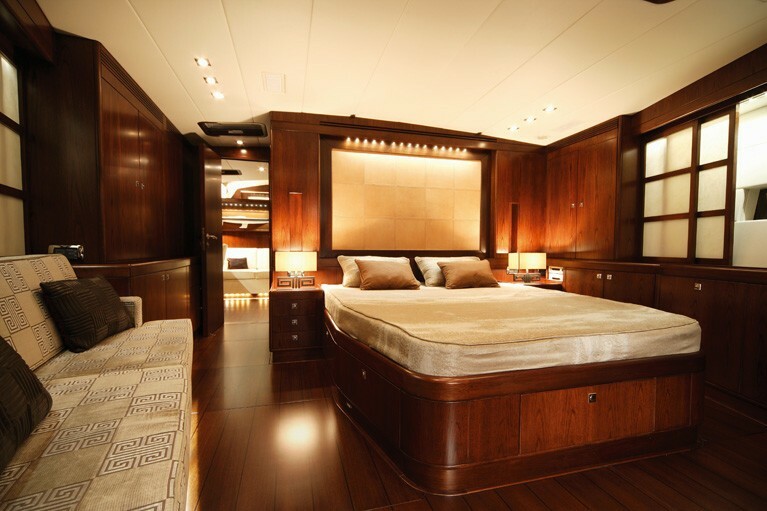 There is a wide master cabin and studio, VIP double cabin, 2 twins, all with en-suite bathrooms. 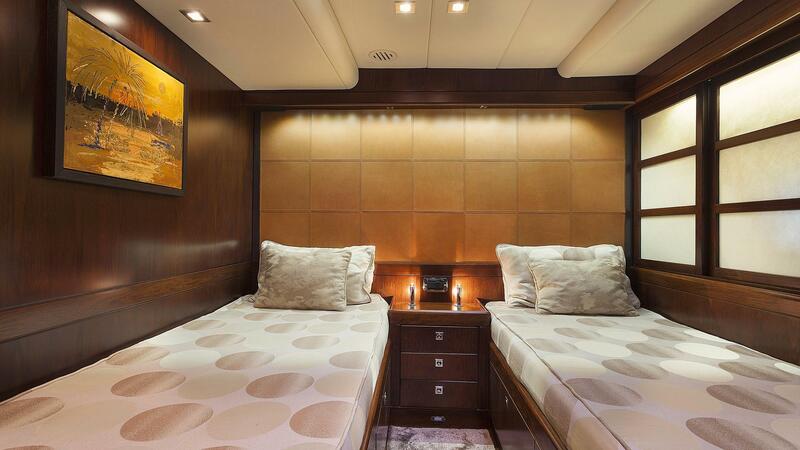 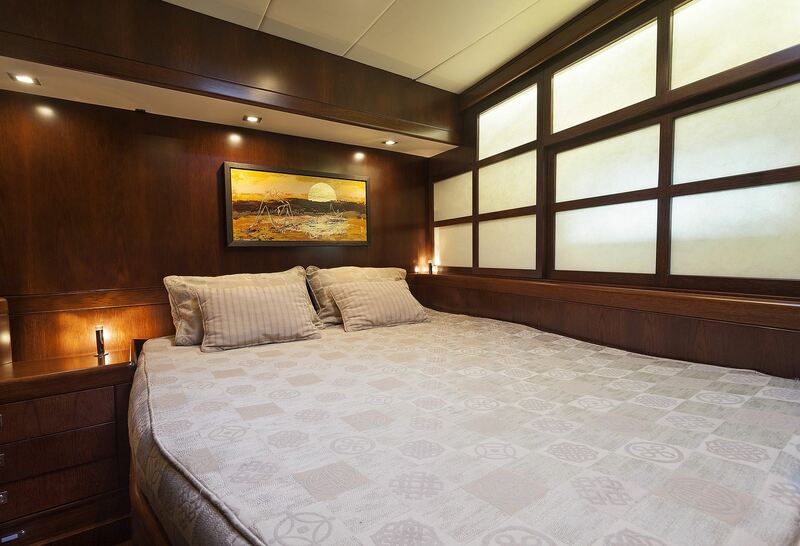 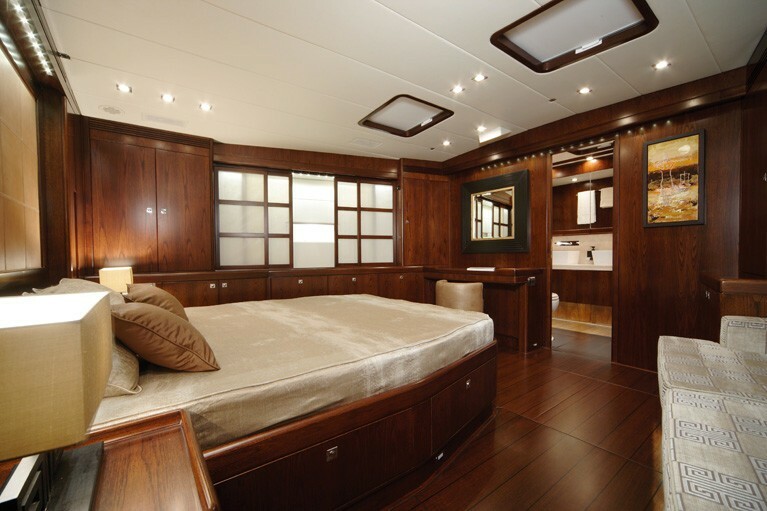 The Owner’s studio is forward and has direct access to the full beam master double bed cabin. 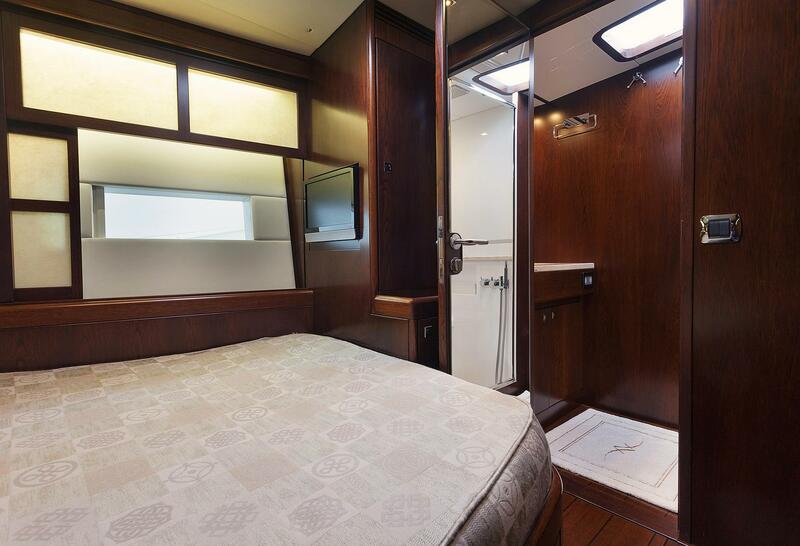 The VIP double bed cabin is aft, and there are also two further twin guest’s cabins - all cabins with en-suite shower rooms. 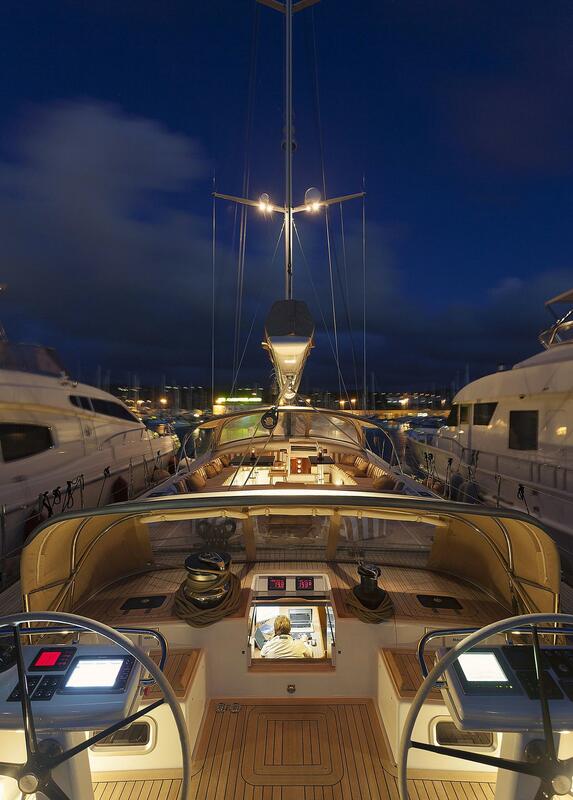 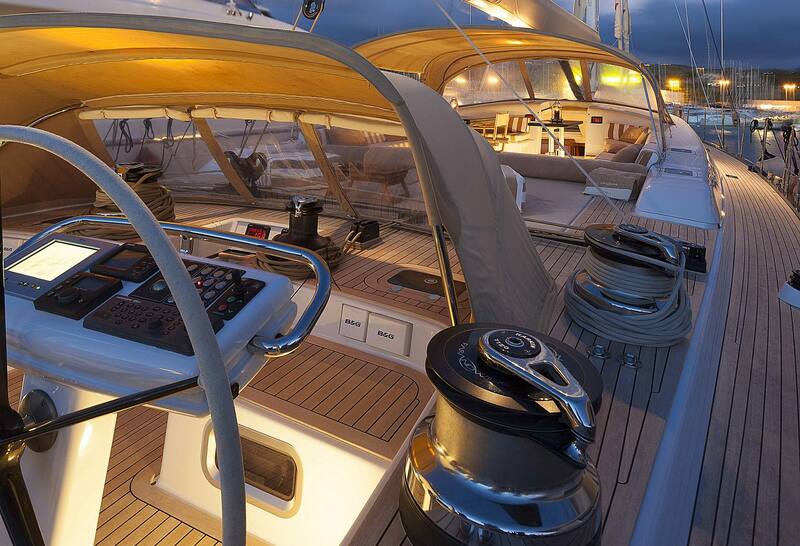 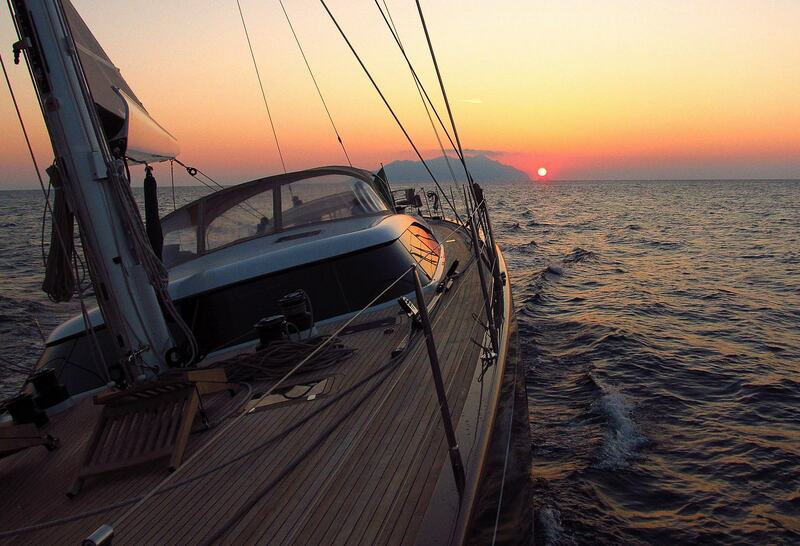 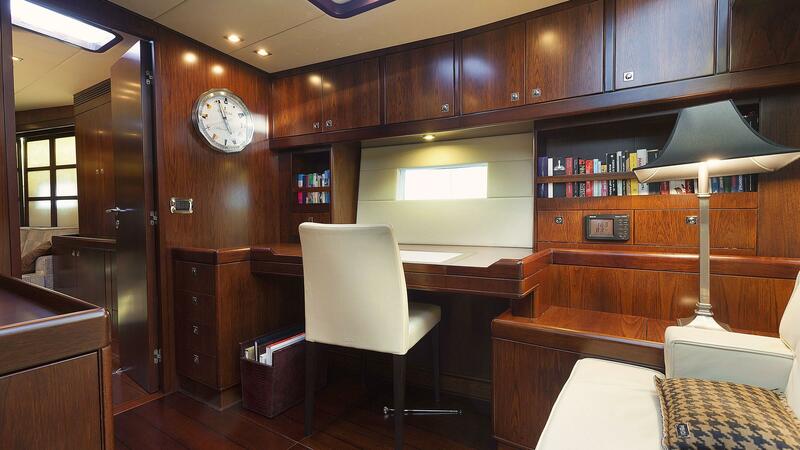 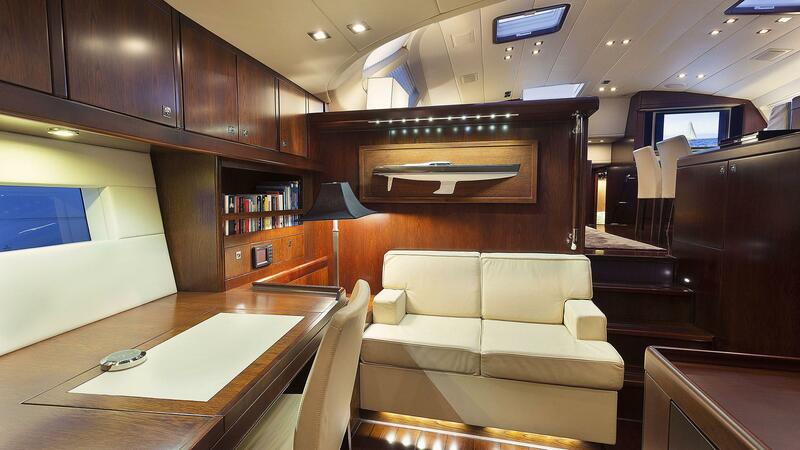 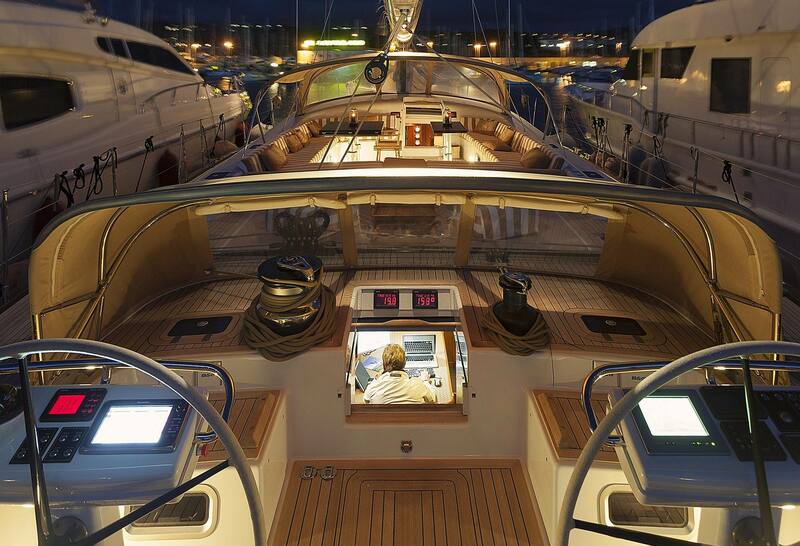 She offers an aft independent crew quarter for 4 with heads, spacious galley and chart table. 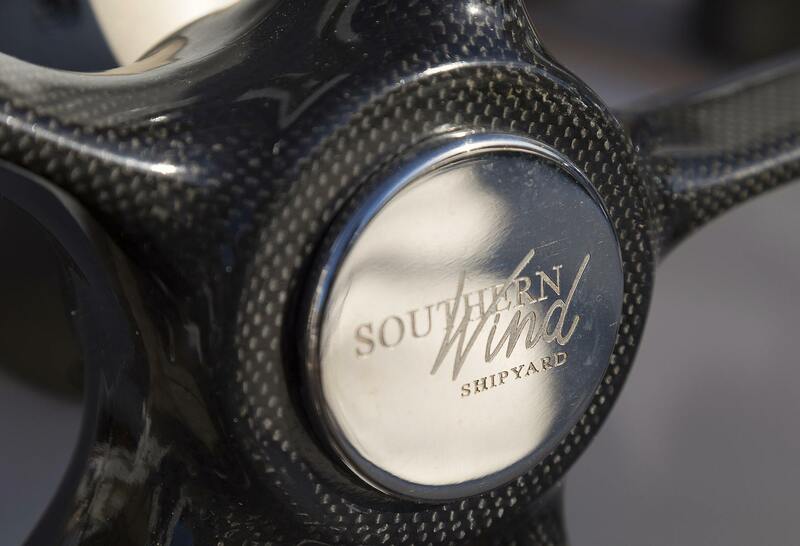 Southern Wind Yacht FAR AND WIDE has the following Tenders & Toys onboard: A 4.30 mt Novurania + Outboard engine 60 HP Yamaha, water-ski, wakeboard, banana, donut, 2 kayak. 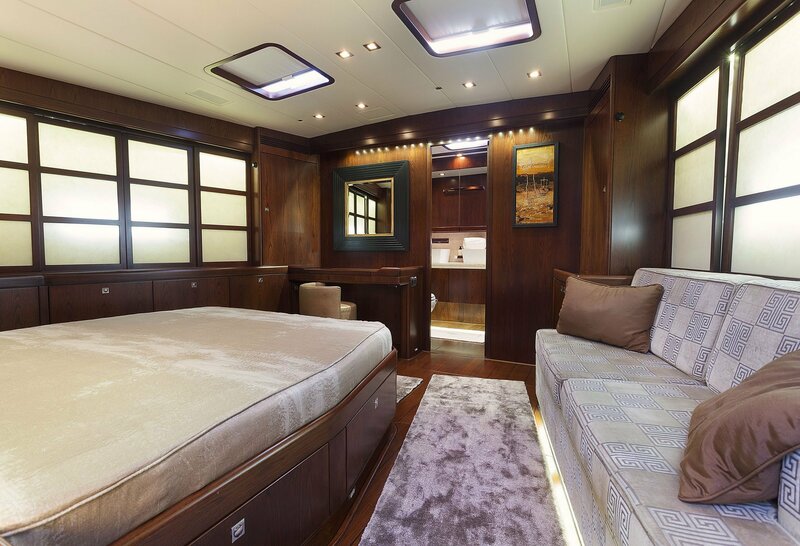 Audio Visual Equipment and Deck Facilities include 5 TV,saloon 32'', Owner cabin 26'', Guest cabin 17''), Sat antenna for TV, Stereo, CD , DVD Large bimini top over "Al fresco area" Separate bimini over steering station Hidraulic swim platform. 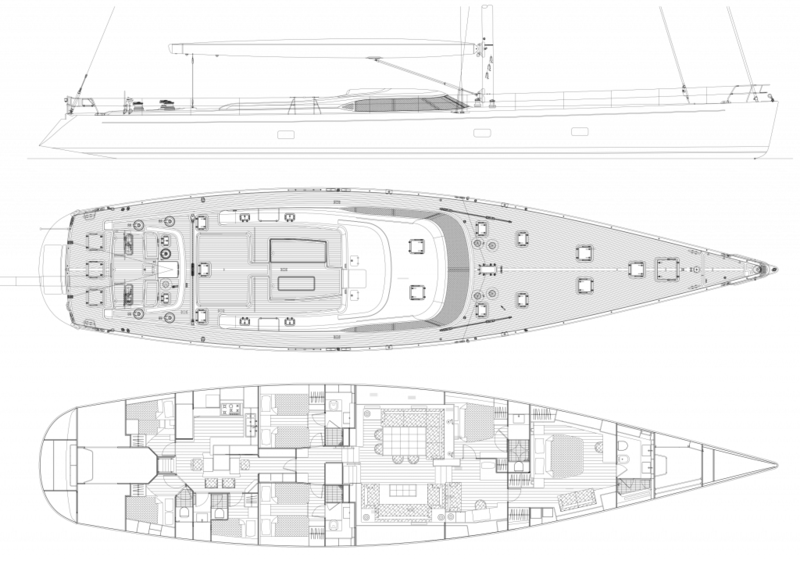 Communications SSB Furuno VHF Furuno Radar Furuno GPS double Furuno Meteo fax Plotter Satcom Double steering Cellular phone.